Little need be said about this wonderful concerto, which shows Beethoven in thorough command of the idiom. 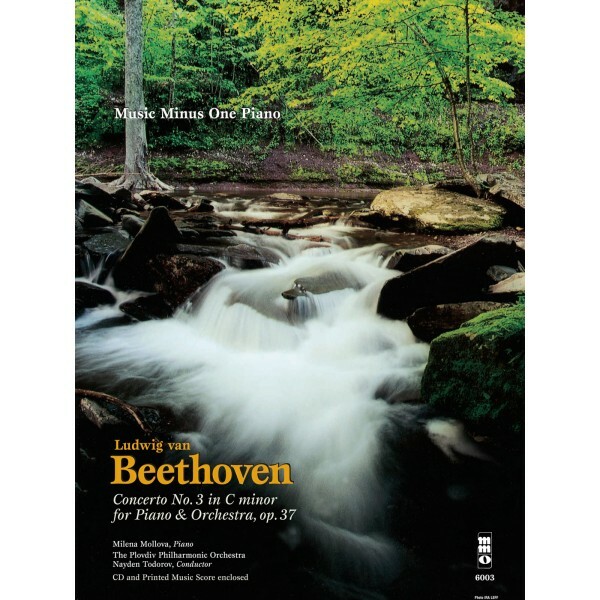 Striking passages, its trademark opening theme in octaves, and a marvelous orchestration create an indispensable part of every pianist’s library, and this new MMO digital recording features Milena Mollova, world-renowned Beethoven interpreter. This deluxe edition includes a second compact disc containing a slow-tempo version of the accompaniment to help you as you learn the concerto. 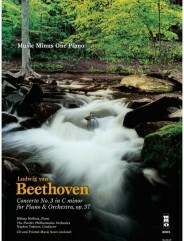 Includes a newly engraved printed piano part (and orchestral reduction) printed on high-quality ivory paper; and a digital stereo compact disc, indexed for your convenience, containing a complete version with soloist, followed by a second performance of the orchestral accompaniment, minus you, the soloist; and a second compact disc containing a slow-tempo version of the accompaniment for practice purposes.